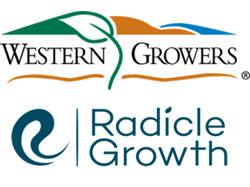 Western Growers and Radicle Growth have partnered to create The Radicle Automation Challenge, a competition where AgTech automation entrepreneurs are eligible to compete for a minimum of $250,000 in investment capital and exclusive access to farm acreage to pilot their technologies. Four finalists will be chosen to showcase their technologies in front of a group of investors, corporate partners and agribusiness experts and the winner will be announced during the Western Growers Innovation Showcase Dinner at the Forbes AgTech Summit on June 26, 2018. “There are two enemies of a start-up, time and money, and we are making a meaningful seed-stage commitment to ensure that we help entrepreneurs bring their technology to market more quickly” said Kirk Haney, CEO & Managing Partner of Radicle Growth. “The $250k is tailored to the unique needs of automation entrepreneurs to ensure they have enough capital and, in partnership with Western Growers, a platform to trial their technology. If we believe in them, we move fast. We’re really excited to meet the start-ups who could be the future of the industry”. All applications can be submitted to www.radicle.vc/radiclechallenge. Applications must be submitted by May 1, 2018. The finalists will be notified of selection on May 29, 2018. Radicle Growth is a San Diego-based acceleration fund that selects innovative ag and food tech startups for investment, ensuring that powerful, disruptive technologies reach their full potential. In additional to providing seed-stage capital, they provide a fertile environment for visionaries in the ag space, not just to grow but to flourish. Their proprietary platform is the only one of its kind in the agriculture industry, thus filling a huge void in the market by identifying the most innovative technologies and accelerating them with a range of value-creation initiatives.